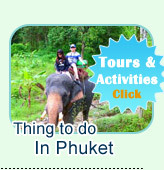 Tour from phuket, phuket tour or tour phuket. The story of Nature Trip can be started from Phuket, Khao Lak and Krabi. The tour package concerns the real nature that you may like to stay over the crown for 2 days and one night on the quiet place over the water. This is the one. Visiting Coral Cave hidden in the Deep Safari of the Dam's Lake. Visiting "The short Jungle Walk pass the completed Area of Safari to see the wildlife. Visiting the "Beautiful Pictures over the Dam's Lake at "3 Friends Mountain" And cruising along the Lake by "Long Tail Boat"
Overnight on the "Rafting House" which is closed to the nature and jumping into the water all the time from your Bungalow- Great Life of Relaxing. Please, however, read all the detail of the program and see the highlight pictures before submit the booking. For sure that you will get the thing you love to. White water Bamboo Rafting along the Sok River: The route passing the beautiful safari on the river side , as well as we stop to see the Limestone cave inside the mountain for Coffee Break. Elephant Trekking: The route passes the clear water river, passing into the tropical garden and Safari of Sok River - The biggest national Safari Park of Thailand. The climax of this package is here. We take the long tail boat to the giant lake of (We can say Sweet Water Sea) and see the beautiful points of Mountains and Safari amid the Lake. The wonderful place like "3 friends Island or Kuy-Lin" is a beautiful place to see. As well as getting the better atmosphere of overnight on the water in the raft house. Do the short jungle walk, Take the Rafting by Engine and walk up to small hill to see the hidden cave in the safari - Coral Cave. There the coral reef living in the cave a lot. It is surprised for every seeker. 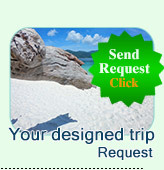 08:00 AM: Pick Up from your hotel in Phuket, Krabi or Khao Lak Beach. 10:00 AM: Arrival "Khao Sok" We start to do the first activity by Bamboo Rafting - Cruising along the Sok River and Stop to see the beautiful point of Limestone Cave over the River. 10:00 AM: Arrival "Khao Sok" We start to do the first activity by Bamboo Rafting - Cruising along the Sok River and Stop to see the beautiful point of Limestone Cave over the River. 11:30 AM: We do a great "Elephant Trekking - We trek into the deep safari of Sok National Safari Park." 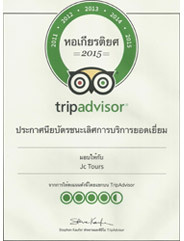 12:30 PM: Stop at the "Khao Sok Boutique Camp" Having Lunch with Thai Set Menu. And moreover, we served a great original fresh Coffee (Original Coffee Mixing Machine). Drinking over to see the view of Fog attached the Mountain makes a great passion." 14:00 PM: We leave Khao Sok Mountains to the biggest Peace of Water Lake - Chiew Lan Lake. 15:00 PM: Arrival the Dam, walking around to see the nice view of Mountains and Lake. 15:30 PM: The long tail boat start from the pier directly to see the 3 Friends Island, Kuy-Lin of Thailand and the Jumping Point. 17:00 PM: Go to check in at The Water Line Rafting Resort. 18:30 PM: Dinner served at the restaurant of the Resort. 09:00 AM: The long tail boat pick up to the "Coral Caves"
Start to do Short Jungle Walk pass the thick safari (The Monkeys, The Gibbon, Safari Birds etc can be seen) and at the end we have to take the Bamboo Rafting (with Engine) to the Cave. 12:00 PM: We come back from the cave to the Resort. Having Lunch. 13:00 PM: Check out and take the long tail boat back to the pier. 14:00 PM: From the pier directly back to Phuket. 16:30 PM: Arrival the hotel at Phuket, Khao Lak or Krab.